In the midst of a furious battle, the launch countdown begins. Time is running out for Keiji and his friends. Will the quest to help R-ne return home be successful? 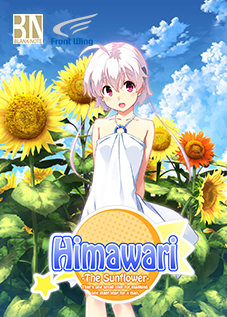 Find out in the thrilling and heartwarming conclusion to the Corona Blossom trilogy! Breaking news! Space pirate-turned-maid Lily and her cohort Yunie have a nefarious plan to kidnap R-ne and sell her as raw materials! Can Keiji and our other heroes save the day, or is R-ne destined to be melted into scrap? And is there an even greater threat looming in the background? The second entry in the Chronicles sidestories series. 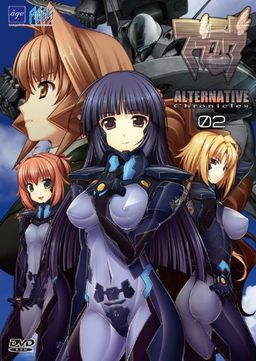 Includes a continuation of the “The Day After” scenario featured in Chronicles 01, “Muv-Luv Alternative Chronicles:Aspiration” (a story set in The Euro Front), a special episode of Radio Total Eclipse, and other bonus material.